Patagonia Under Siege: "Cheap" energy costs Argentina billions and more blackouts - The cause of Chile's natural gas shortage? "Cheap" energy costs Argentina billions and more blackouts - The cause of Chile's natural gas shortage? The four billion US dollars were invested in heavy oil provision, purchase of electricity from Uruguay and Brazil and direct payments to local companies to prevent rates from increasing. On the other hand if the money had been invested as suggested, Argentina would now not be exposed to power cuts and could even have a surplus. A report from Cammesa indicates that during December/January the northern tropical provinces of Chaco and Formosa suffered 18 major blackouts between 14:00 and 16:00 hours, top peak consumption moments. Something similar happened with metropolitan Buenos Aires and the country’s capital Buenos Aires City. In the hot Buenos Aires summer for the first time since 1992 supply fell short of demand and government officials desperately asked some of the main factories to cut on demand so as to keep residents satisfied. For several weeks now every Tuesday an emergency assessment group meets at Cammesa with the main energy suppliers, Spain’s Endesa; Argentina’s Sadesa and Pampa Holding and the US AES. Besides, these corporations must send Cammesa a daily report on production levels and the state of equipment, in an attempt to advance critical moments. But consumers must also deal with other surprises, for example the range of electricity intensity that can vary from 180 to 240 volts. Watch out for the electronic equipment! The government has tried to address the issue with small Sullair portable generators on trailers particularly along the Atlantic coast resorts and by advancing time 60 minutes which means abrupt consumption peaks between 19:00 and 21:00 hours have extended up to 23:00 hours. But on very hot days energy distributors have the official instruction of “lowering the charge”, which has become ever more difficult to comply since industry is reluctant to abide and therefore residential areas are exposed to temporary “adjustments” or as officially described “isolated power cuts”. 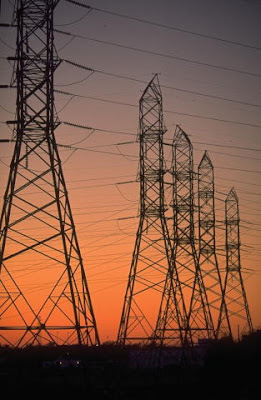 The fact is that electricity rates in Argentina are four and five times cheaper than in neighboring Brazil, Chile and Uruguay, and half the price in the province of Cordoba according to Consultants Montamat & Associates, a Buenos Aires energy advisor. Although rates for industry in Argentina are higher than for residential clients, they are still a third of their cost in neighboring and Mercosur countries. Here is the full article. Chile's Copper Boom - Who Does it Benefit?